Tip : Use the search button at the bottom of the page to see how me or other dollies around Stardoll have styled those pieces! Just type the name of the item, click search and you can see a list of older posts that are featuring this item. 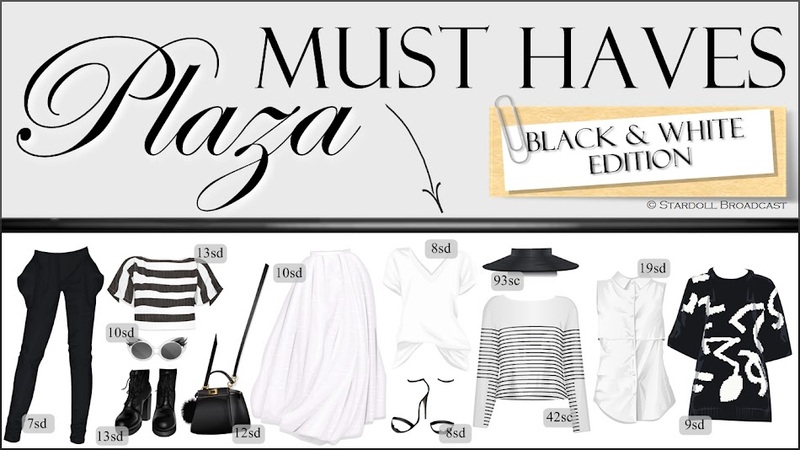 Great selection from all the black and white items available. I will go hunt for a couple of these items that I don't already own. Thanks! This is extremely creative. Love the hair, especially!